Andrew Dalton’s landscape prints look like the strong, callused hands of men that have spent their lives working the land in North Yorkshire, or manipulating steel in Teesside. 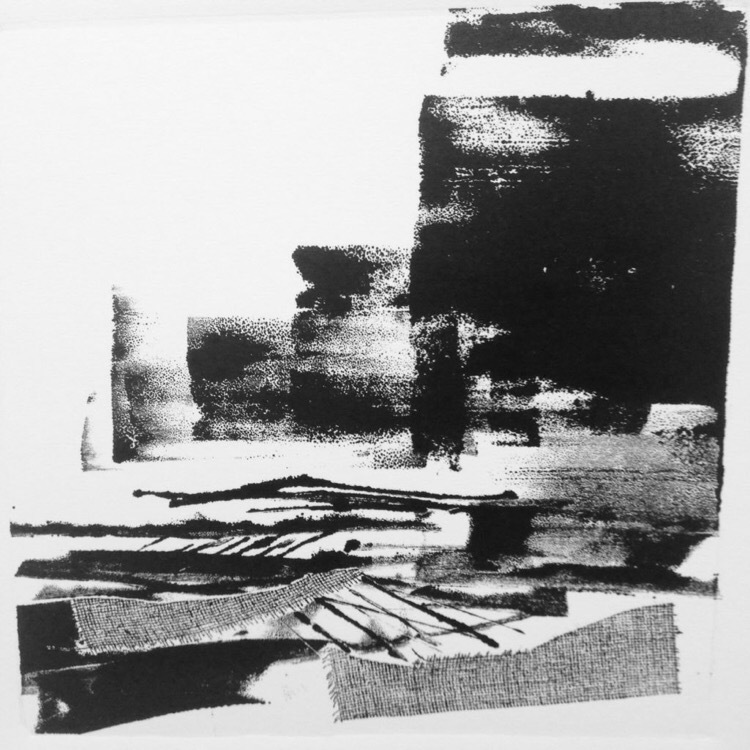 Black and White by Andrew Dalton at Helmsley Arts Centre is an exhibition of bold, masculine sweeps of pitted black inky prints, of hardworking landscapes. North Yorkshire born Dalton studied Fine Art Printmaking at London’s Central Saint Martins after which he travelled and worked in the arts for almost 20 years before returning to his home county in 2006 where he has settled with his family in Thirsk. Dalton’s attentions are now focused on his art own art practice and developing a small print workshop in Thirsk. Black and White is not, however, a Yorkshire Tea box-esque visual translation of a rural idyll; visitors to Helmsley Arts Centre are greeted by two, large, dark, brutal prints that appear to epitomise industrial Middlesbrough. Following them is a series of arresting landscapes possessing a drama that far outweighs their physical scale as merciless skies lay bare the brutality of local weather that beats down on a patchwork of textures that builds the pictorial landscape. A series of four more abstracted scapes see the introduction of grey into Dalton’s otherwise monochrome palette, whilst skilled draftsmanship and accomplished mark-making can be observed in Dalton’s haunting figures that punctuate the exhibition. 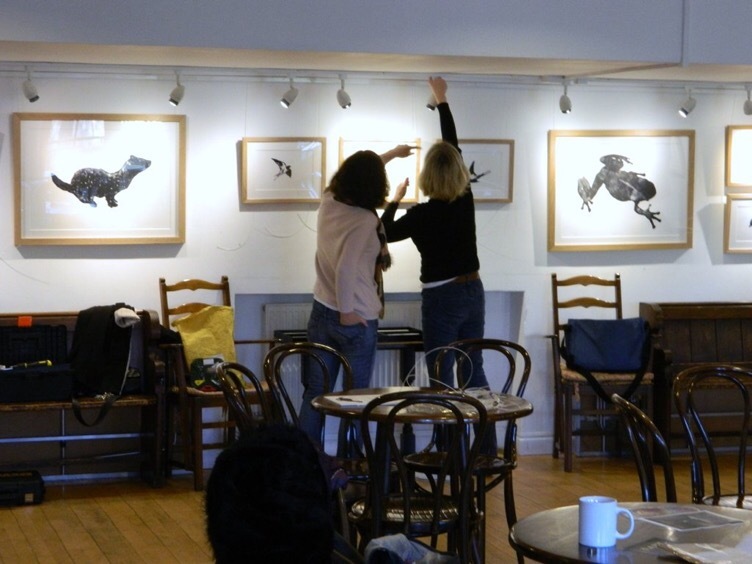 To enter the bar area of the arts centre is to become enveloped in a woodland scene where Dalton’s prints of wild animals dance around the walls. However accomplished, I have seen sufficient leaping hares to last me a lifetime, it is Dalton’s entrancing landscapes that are the real tour de force in this exhibition – they, to me, are exceptional. 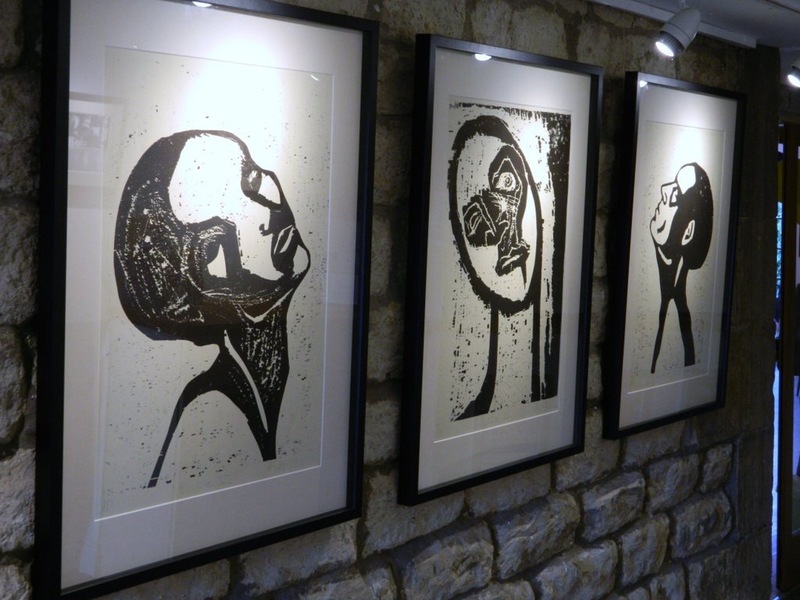 • Black and White by Andrew Dalton was on display at Helmsley Arts Centre, The Old Meeting House, Helmsley, York, YO62 5DW from to 3 May to 3 June 2016.